On October 23, 1988, a state-of-the-art terminal building was dedicated and exists as a truly superb example of a user-friendly, congestion-free, comfortable yet modern airport. Celebrating our 30th anniversary of the terminal, we continue the tradition of offering convenience and comfort. PBI has enjoyed many awards over the last 30 years, including being named in 2018 9th Best Domestic Airport by Travel + Leisure Magazine! 2017 awards include ranking 5th Best Medium Airport in the 2017 J.D. Power North American Airport Satisfaction Study, 9th Best Domestic Airport by Travel + Leisure Magazine and found to be #1 across the U.S. for best overall wait times for our TSA Checkpoints. 2016 was an award winning year as Conde Nast Traveler magazine names PBI 6th Best Airport in the U.S., Trip Advisor awards us the 2016 Traveler&apos;s Choice Award in the Airports category, J.D. 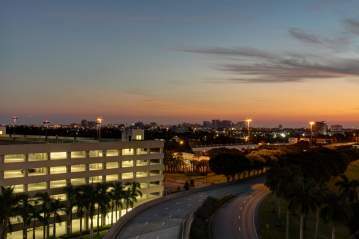 Power named PBI the Best TSA Checkpoint in the U.S. and Airport Revenue News ranks PBI in the top 5 Highest Ranked Airports for Ease and Accessing Parking and Getting to the Terminal. PBI Travel Plaza, completed Winter 2015, is located at the Southwest corner of Florida Mango and Belvedere Road. The Travel Plaza features free wi-fi, arrival/departure screen, Dunkin&apos; Donuts, 7-11, Mobile gas, car wash, electric car charging stations and cell phone waiting lot. PBI offers a user friendly experience online at pbia.org, from desktop, tablet or phone with our recently redesigned responsive website. 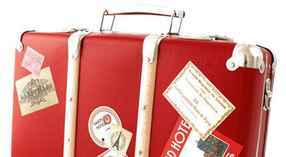 PBI has nearly 200 daily non-stop arrivals and departures to nearly 30 destinations in the US, Canada and the Caribbean on 11 airlines. View our latest schedule here. Palm Beach International Airport is conveniently located to serve the air trade area of Palm Beach County and the four surrounding counties. 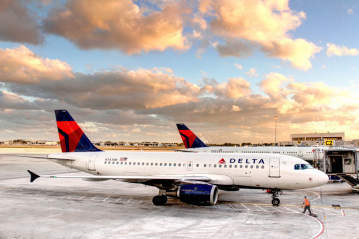 The airport is located 2.5 miles west of downtown West Palm Beach and just 3.5 miles west of Palm Beach. PBI is situated adjacent to I-95 and is easily accessible from anywhere in Palm Beach County. Boca Raton is approximately 20 miles south and Jupiter is only 15 miles north. 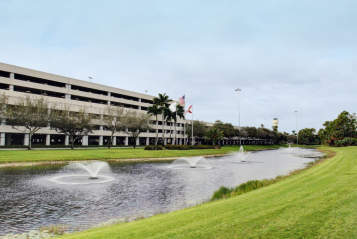 Palm Beach International Airport offers onsite parking with Economy Lot Courtesy Shuttles and competitive pricing. The Customs and Immigration facility is capable of handling 300 passengers per hour and aircraft up to the size of B747-400.